Each year, March is marked by National Collegiate Athletic Association’s (NCAA) March Madness, the tournament which determinates the men’s college basketball national champion of the season. From March 13th to April 2nd, millions of American will watch the event involving 68 teams on TV or via the official streaming platform. Last year, the viewership for the National Championship game was 23 million viewers, which is similar to NBA Finals in the US. The AR company Thyng has launched the latest version of its app for iOS (Thyng 4.2) to allow fans to put their favorite team mascots or logos anywhere in Augmented Reality. Every teams’ objects of the tournament are included and can be used for many of interactions like dancing. A creativity app, similar to the Bayern Munich one, which allows users to build their own story with their teams. From $2.99 per game or $19.99 for access to all 21 games selected, fans are able to be immersed to the tournament in Virtual Reality via the March Madness Live VR app available for Gear VR and Google Daydream devices. Developed by Turner Sports, in partnership with CBS Sports and the NCAA, the app allows users to personalise their watching experience by choosing the camera they want to watch from a fully produced VR coverage. Highlights for all games are also accessible as well as interviews with coaches, players and more. Being unmissable on social media, GIFs are strategic social content for sport teams and tournaments. March Madness understands this with the launch of a new GIPHY page where fans can find quickly and simply the best GIFs from the court. Key moments from tournament’s history are also sharable. The platform looks like an interesting way to encourage social users to share their feels and enthusiasm during a game with quality content. How fired up are you about March? As official March Madness broadcaster, CBC Sports offers a great cover of the event on social media, notably on Twitter, sharing the best actions of each game in videos in near real time. It’s been a year since England’s Roses won Gold at the Commonwealth Games, and a new commercial partnership caps off a great 12 months. Is The Masters’ unique social media approach a missed opportunity? 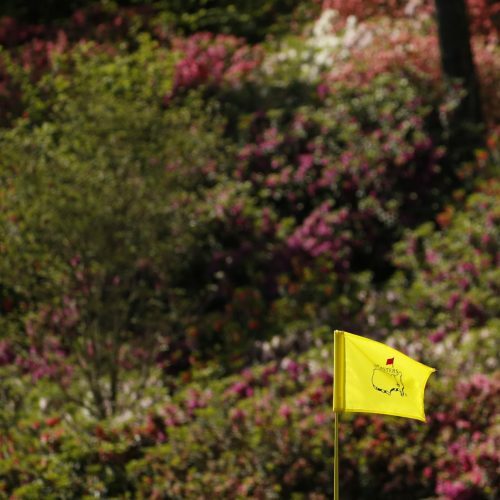 The Masters tees off today, but is their minimal social media strategy a missed opportunity? The win-win deal will see the Masters get reach, and Facebook get even more live sports content. Lost in Translation? - Traducimos y localizamos tu contenido on Lost in Translation? © 2015 Copyright @DigitalSportUK. All Rights reserved.